A new way to decorate walls. SAFARI DÉCOR: Add a rustic feel to a living room without donning camouflage with these cardboard safari trophies. 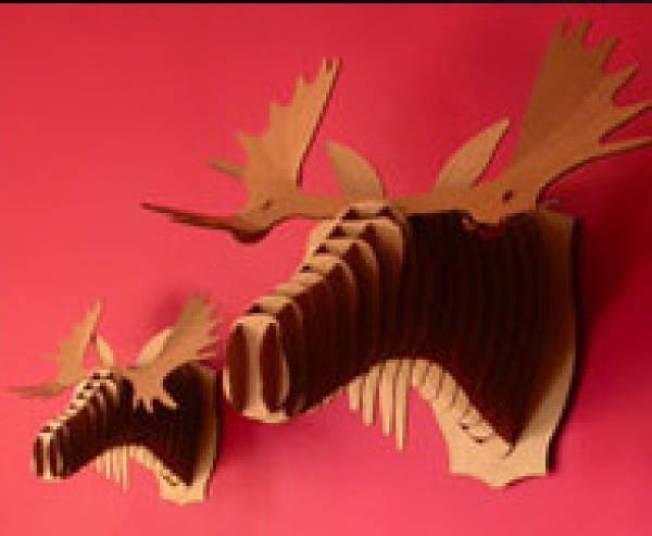 The laser-cut animal shapes are crafted from cardboard and are available in a deer head, rhino head, moose head- or full size rhino shapes. Available at Fly Bird. SO SCRAPPY: A bag made from recycled truck tarps with recycled seat belt straps and bike inner tube trim not only screams durability, but it makes for a good story as well. The Freitag et Wallet ($56) is available at Penelope’s in Wicker Park. SEA CREATURE: The Dark Depths Bracelet is more than a simple accessory. Its shaped like a sea creature with pave tentacles that wrap around the wrist. Made of brass and cubic zirconia. Available at Anthropologie.